If you’re anything like me, the cupboard under your kitchen sink is typically a disaster. That is. . . until now. 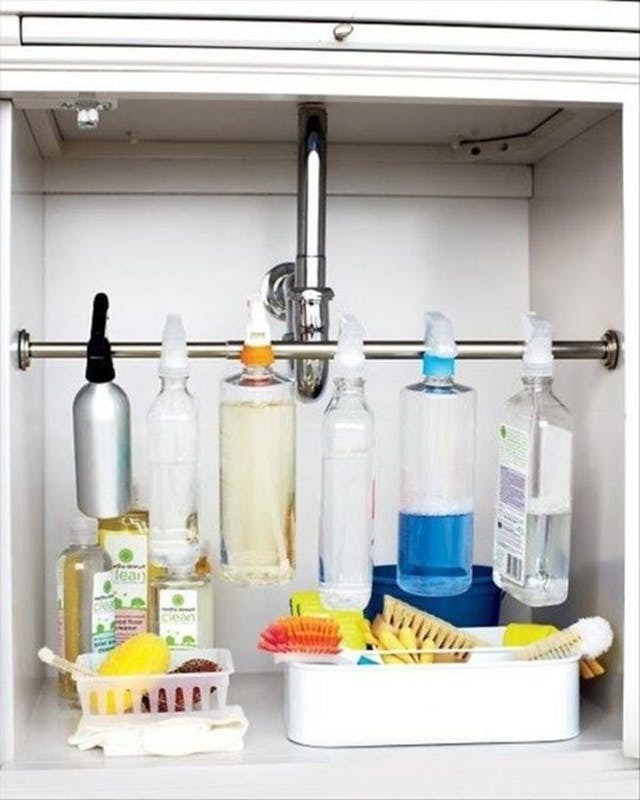 I found these brilliant tricks for organizing under my kitchen sink and it’s helped me actually enjoy cleaning up the kitchen! 1. 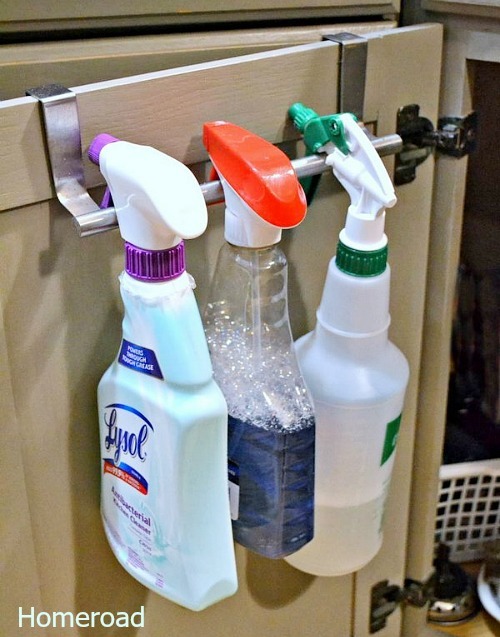 Hang a metal over-the-door rod for storing your cleaning supplies. I found this 2-pack for under $15! Put the second bar under a bathroom sink for the same purpose. 2. 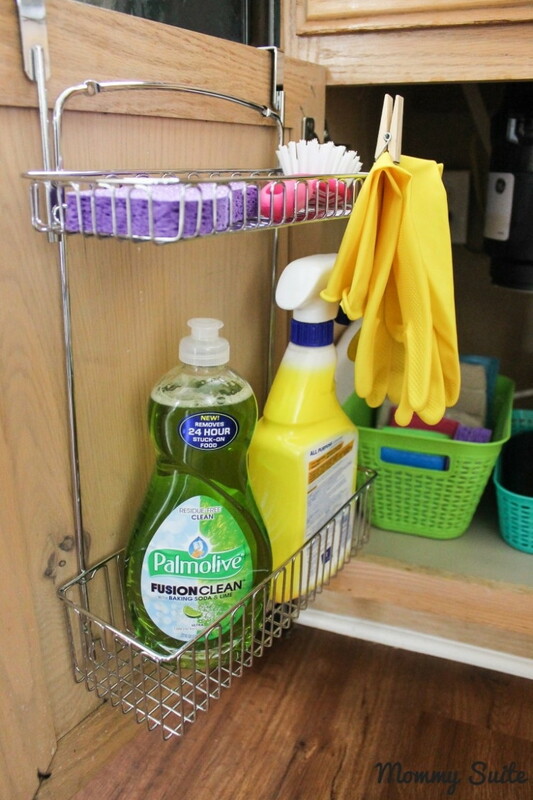 Use a door organizer for large or odd-shaped cleaning supplies. This hanging basket from Amazon is meant for a bathroom, but using it under the kitchen sink is a great alternative. 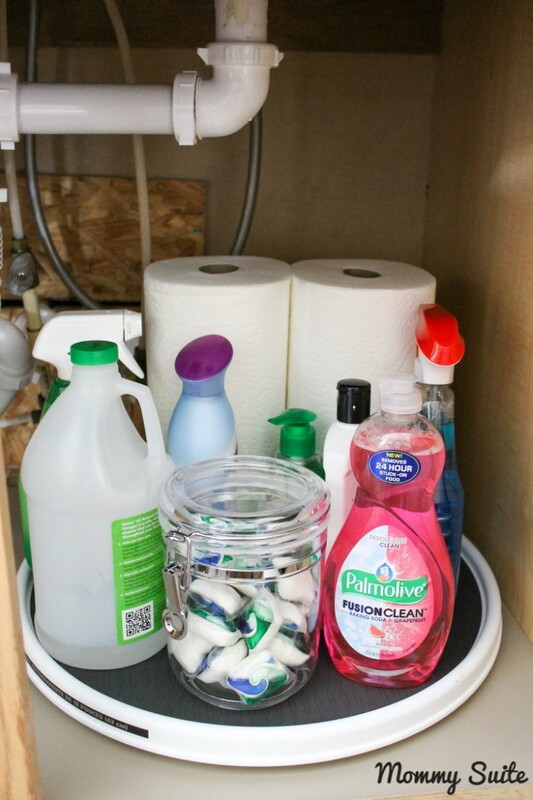 3.Stop digging for soap — set up a lazy Susan instead. I love this turntable’s rubber grips and plastic coating that’ll make it easy to clean. . . plus it’s under 10 bucks. 4. 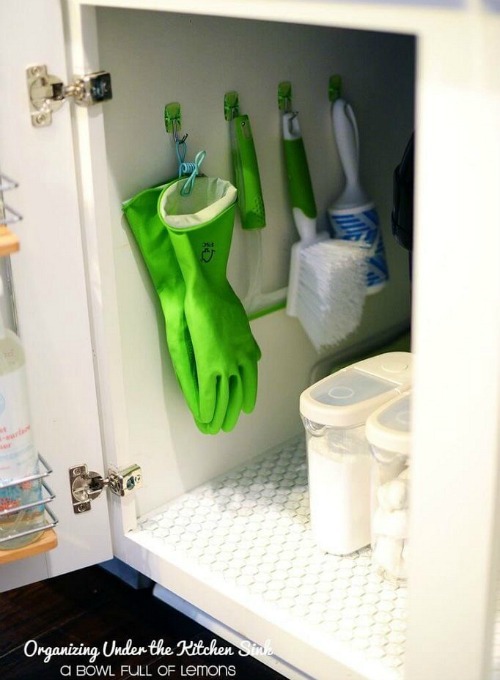 Hang Command hooks to hold gloves and scrub brushes. You can find Command hooks virtually anywhere, but I’ve seen the best prices at Target or Amazon. 5. 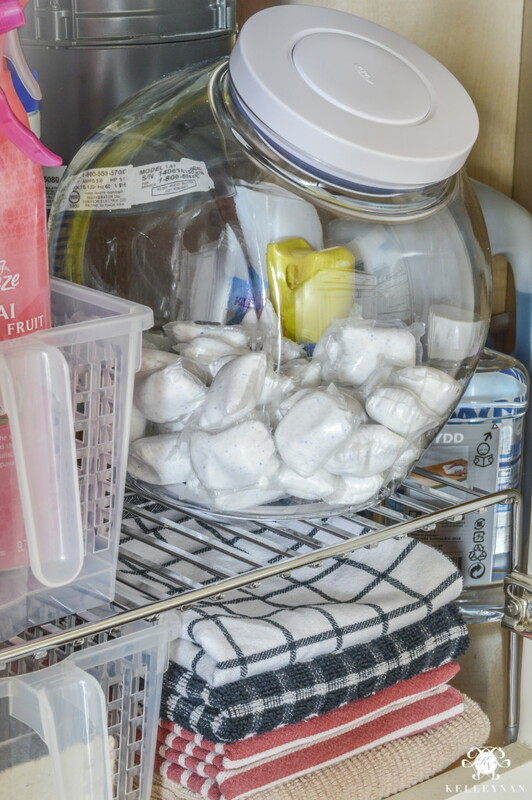 Store dishwasher tabs in a cookie jar. I love this airtight jar, but use a child-proof container if you have little ones! 6. Hang a tension rod for storing bottles or dry dishrags. This tension rod 2-pack is only $6.50! 7. Mount a spice rack on the cupboard door. 8. 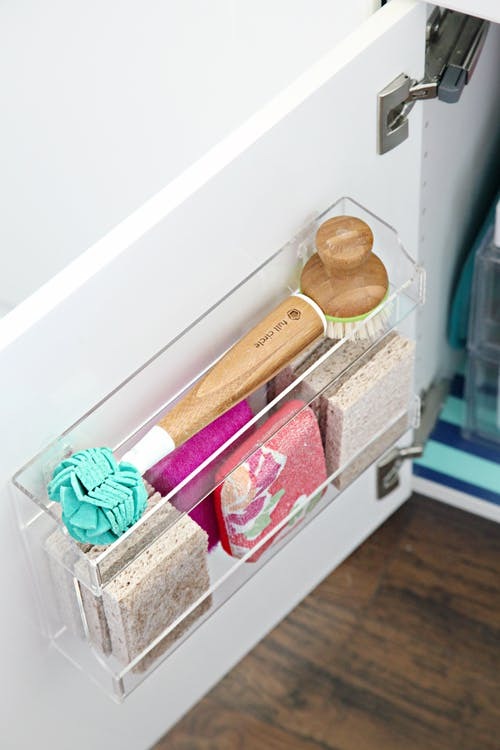 Double your space with storage shelves. 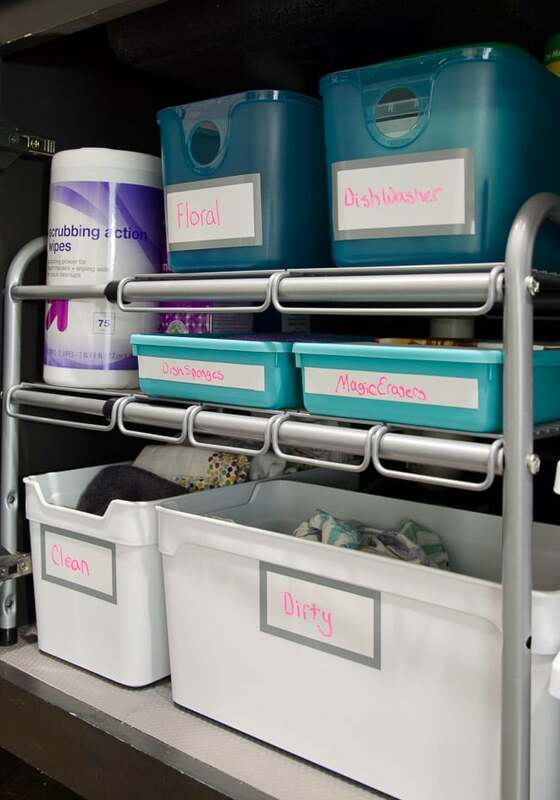 Try this under sink organizer for under $25 from Amazon.